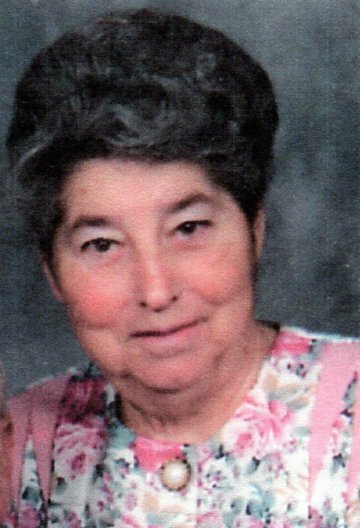 Joyce M. Rayburn, 82, of Marion formerly of Mount Vernon, died Thursday evening November 22, 2018 at the Marion General Hospital. She was born February 17, 1936 in Ironton to the late Elbert Daniels and Alma (Cole) Daniels Murphy, she was also preceded in death by her husband Thomas Stephen Rayburn, they were married November 22, 1958 and he died March 6, 2010, also preceding her in death was her daughter-in-law: Kathy Rayburn and two brothers: Pearl and Proctor Daniels. Joyce had worked at the Marion General Hospital in housekeeping for over 15 years. She was a member of the Apostolic Gospel Church in Upper Sandusky. She loved reading her bible and had a good voice for singing gospel songs. Joyce loved her family and cherished spending time with them, she also in her later years enjoyed traveling with her family. Surviving are her children: Paul (Rose) Rayburn of Columbus, Roger Rayburn of LaRue, Doug Rayburn of Marion and Rhonda (Phil) Belcher of Marengo. Grandchildren; Paul Rayburn Jr., Roger L. Rayburn II, Douglas Rayburn II, Phillip Belcher II, Crystal N. Belcher, Terri D. Gottfried, Jessica R. Rasey, Jennifer Rayburn and April Blanton. Great Grandchildren; Shyanne Rasey, Steven Rasey, Katelynn Rasey, Alex Rasey, Cambria Rayburn, Logan Rayburn, Skylee Gottfried, Arison Gottfried, Haliana Gottfried, Maille Rayburn, Zane Rayburn, Mathew Mathews, Gracie Mathews, Brody Blanton, Brock Blanton and Alice Brily Blanton. Funeral services will be held Tuesday November 27, 2018 at 2:00 pm at the Stofcheck-Ballinger Funeral Home in LaRue, Pastor Jeff Wilson will officiate, burial will follow in the LaRue Cemetery. Friends may call Monday form 5-7 pm at the funeral home in LaRue.